Watercolors by Clay County artist Jimmie Tabor will be featured in a solo exhibit in April in The Gallery at Clabber Girl Museum in Terre Haute, Indiana. Jimmie has worked in several mediums, but has come to love watercolor because of “the pleasant surprises as the paints/colors change while drying.” His work primarily involves nature (birds, flowers, animals), landscapes and some portraits. Jimmie grew up in Brazil, Indiana and studied art with professor Elmer Porter at Indiana State University. He also was mentored by local artist Roy Muncie, a talented sign painter. His career included 35 years with Sherwin-Williams, working with color blending on a daily basis. Jimmy now resides in Center Point with his wife, Suzanne, and their golden retriever, Sandy. Through the years, Jimmie’s artwork has been shown in Swope Art Museum and in exhibitions at Rose-Hulman Institute of Technology and Covered Bridge Art Association’s Gallery in Rockville, where he was honored with Best of Show. 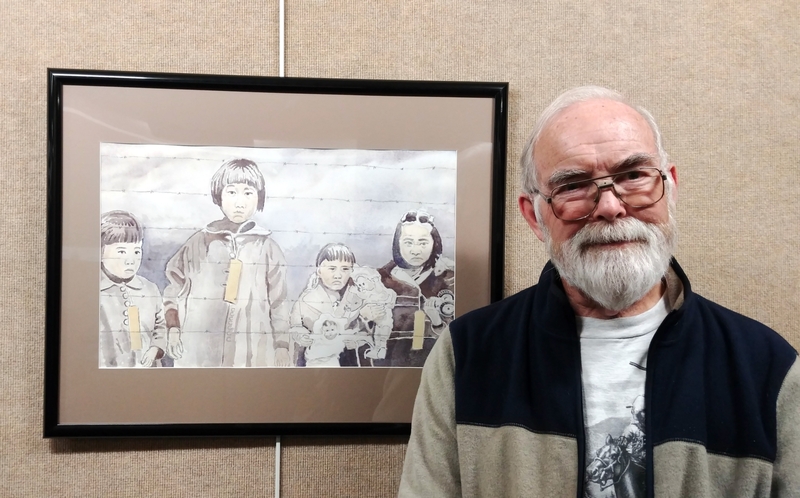 In March 2018, Jimmie’s watercolor “Lost Identities” received the People’s Choice Award in the Vigo County Public Library’s fourth annual Big Read Art Exhibition in celebration of the Big Read book selection, “When the Emperor Was Divine” by Julie Otsuka. In addition to River City Art Association, Jimmie’s memberships include Wabash Valley Art Guild and Indiana Wildlife Artists. 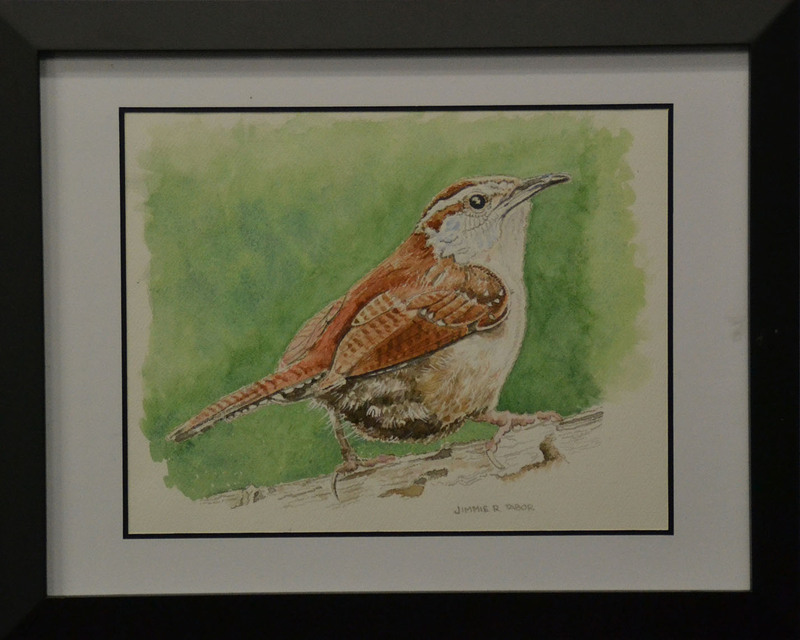 This entry was posted in Member News and tagged birds, Carolina Wren, Clabber Girl Museum, flowers, Indiana Wildlife Artists, Landscapes, Nature, portraits, River City Art Association, Swope Art Musem, Terre Haute, watercolors, Wildlife. Bookmark the permalink.